Have you ever had that sudden, sinking feeling in your stomach after opening that credit card bill, post holiday? Or the fluttery feeling when you’re feeling stressed? Have you ever wondered how a certain feeling or thought can lead to strange sensations in the stomach? Research has shown that even having the slightest thought of food or of eating can release digestive juices long before you actually sit down to eat. Moreover, it has also been proven that the gut can control your emotions and moods too. For instance, eating sweets can make you feel better and a distressed gut can make you angry, anxious, or stressed. This two-way communication explains why you stop eating when you're full. It’s also why anxiety and stress could ruin your appetite. In the latter case, stress activates responses, which prevents gastrointestinal secretion and reduces blood flow to the gut. A hundred trillion bacteria that live within your gut are intimately involved in your brain at a number of levels. They manufacture neurochemicals, like dopamine and serotonin and vitamins that are important to keep your brain healthy. They also maintain the integrity of the lining of your gut. Studies show that people with gastrointestinal illness, who tried psychological-based approaches were found to get greater relief from their symptoms than those individuals who received standard treatment alone. When symptoms arise from stressful circumstances, psychological treatments can be beneficial. Behavioral therapy and stress-reduction techniques do not directly reduce pain or improve symptoms in the same way as drugs, but they can deliver similar results by reducing anxiety, encouraging healthy behavior, or just helping individuals cope with discomfort. 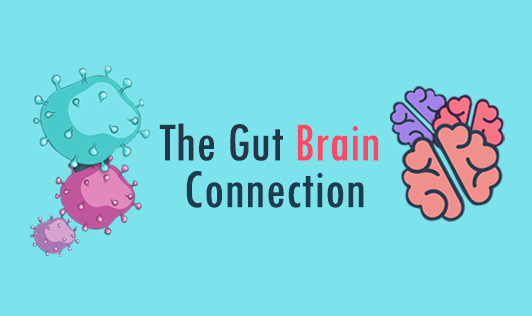 Thus knowing how emotions may be affecting your gut, and vice versa, can help you tackle your next “gut-wrenching” episode or gastrointestinal ailment more quickly and effectively.